Click here for your FREE call to our GPs on Strike Day! Hi there. 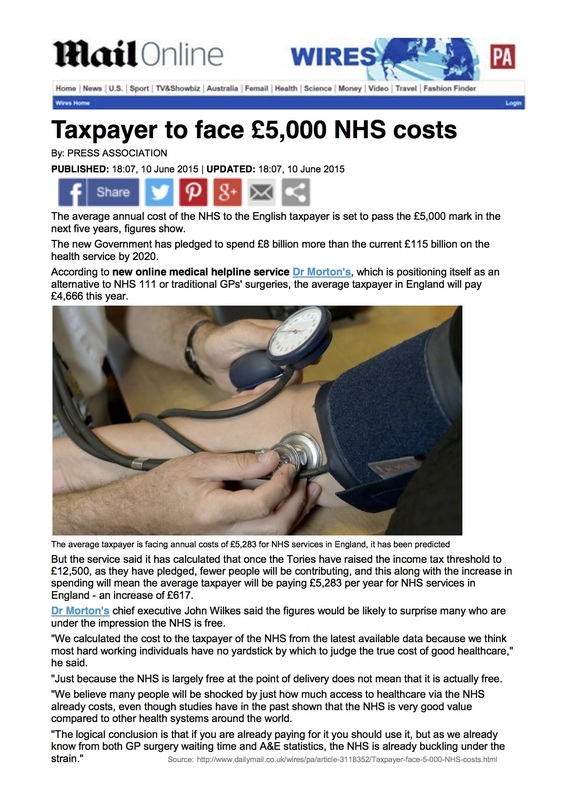 You may be wondering why a private email and telephone GP service is talking about the junior doctor campaign for fair contracts. The reason is simple: we’ve got a team of experienced GPs manning the phone lines here every day, who work for us alongside their jobs in the NHS, and we don’t like the way the government is handling this issue. We at Dr Morton’s understand how hard our Junior Doctors work, and having so many senior doctors working for us, we as a company have a unique insight into how much the juniors have to struggle in order to do their job. The vicious attack on doctors over the last year has had them labelled as lazy, incompetent and too stupid to know their own minds. They’ve been accused of being barriers to change and even of being greedy gold-diggers. We know this isn’t true, and we refuse to be part of the media spin against some of the most hard-working, selfless and dedicated people in our society. Jeremy Hunt has unfairly accused doctors of not providing a seven day service, so you know what Jeremy? Over the next seven days, we’ve teamed up with Rikki Marr from Hawk and Mouse to show you, in our series of seven amazing illustrations, what the NHS might be like if you drive all our doctors to quit medicine or move abroad. Our founder, Obstetrics and Gynaecology Consultant Dr Karen Morton, built this company to support the NHS by taking pressure off primary care. She passionately believes that, by solving quick and easy health problems over the phone, GP surgeries can be freed up for people who have long term or serious conditions. 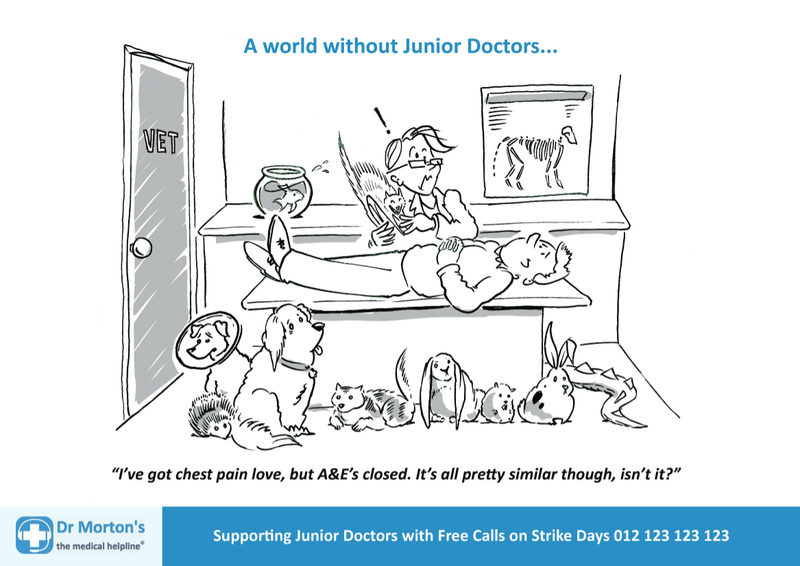 If you need to speak to a doctor during the strike tomorrow, Dr Morton’s is offering free calls all day, from 7am to 11pm, as a symbol of our support. Call us on 012 123 123 123 and you’ll get through to a caring, experienced Senior doctor, who can provide advice and reassurance. As for you Junior Doctors out there, we will support you all the way.